Medco Ltd is one of the largest suppliers of laboratory coats to the medical and scientific industries in Ireland and to companies across the world. From delivering individually embroidered coats to Irish veterinary practices and doctor’s surgeries or catering for international orders amounting to several thousand items, we can meet all of your quality, quantity and colour requirements. Our standard Ladies and Gents lab coats are available from sizes 34 – 52 (men) and 8 - 22 (women), while an additional Ladies ‘A line’ style is also available for delivery from our manufacturing facility in Cork. Medco Ltd is a key worldwide supplier of the Howie Lab coat, which has an elasticated cuff on each arm and is designed to suit both men and women. The coat has a multitude of pockets to assist with functionality and a cross over front and high collar to provide extra protection from light chemical splashes. 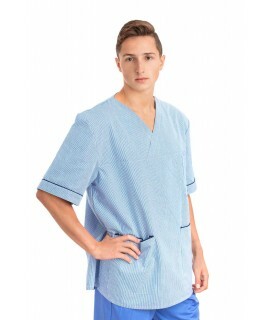 As with all of our uniforms, Medco Ltd lab coats are made from the same polyester cotton blend (65%-35%) that has been extensively tested in the UK and is used for all of our uniform lines. This ensures our customers will be buying a quality, long-lasting product that will provide great value for money over time.